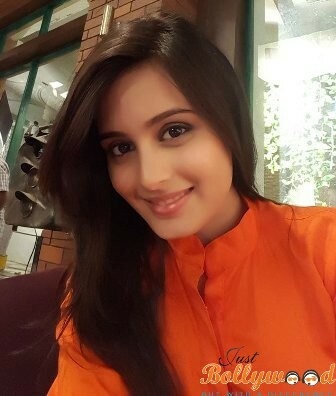 Rhea Sharma is a popular television actress popular for her role in the serial Itna Karo Na Mujhe Pyaar on Sony TV. She was also famous as she played the lead role in the serial Kahani Hamari Dil Dosti Deewanepan Ki. The pretty actress Rhea was born on 17 November 1994. She was born and brought up in Mumbai studying in a reputed school in the city. She pursued her graduation from St. Xavier’s College in the city. As she was a gorgeous teenager, she was always inclined towards modeling which brought her few ad films assignments. She became a popular face in TV commercials and was picked up for TV shows. She got recognition with the serial Itna Karo Na Mujhe Pyaar. It was an Ekta Kapoor show with Ronit Roy playing the lead. Rhea had a small role to play in the story but she noticed for her charming presence and pretty appearance. Rhea bagged opportunities that came her way. She worked in the Channel V show Yeh Hain Ashiqui which was an episodic show in which she was featured in an episode. As it was a highly popular show, Rhea was noticed by other producers. She got the offer to play the lead in the serial Kahani Hamari.. Dil Dosti Deewanepan Ki. It was a campus show with the lead characters indulging in friendship and love triangle. Karan Wahi played the male lead while Rhea played the female lead named Gauri Raichand. The show was aired on &TV. It was a popular in the initial months but had to be pulled back off the channel in August 2016. Rhea has been roped in to play an important role in an upcoming Star Plus serial Tu Suraj Main Saanjh Piya Ji. The show will be launched very soon and Rhea will play a pivotal character along with actor Avinesh Rekhi.